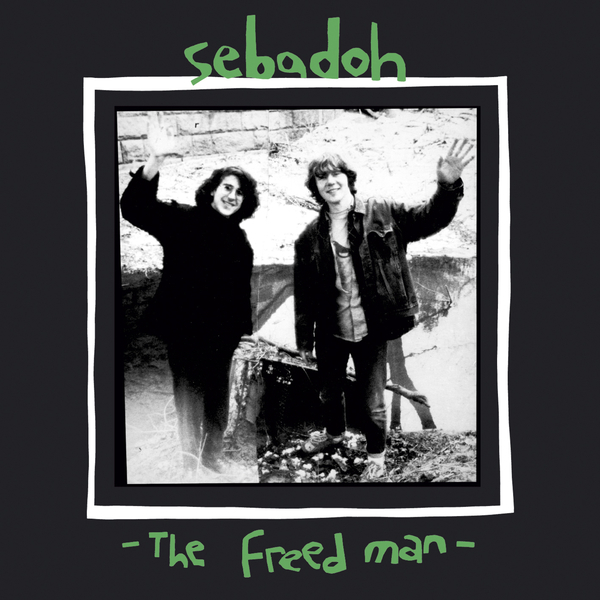 Lou Barlow and Eric Gaffney set about work on their lo-fi masterpiece The Freed Man back in 1988. Now almost twenty years on, Domino have reissued the release with a huge amount of supplementary material recorded contemporaneously with the album and in the same DIY spirit. Barlow had embarked upon this cassette recording odyssey towards the end of his time with Dinosaur Jr, and Gaffney (a radio DJ and pizza delivery boy at the time) upon hearing the tapes realised how special they were and the two set about making recordings both separately and collaboratively. It's worth remembering that this was all way before the term lo-fi started getting bandied about in the music press, and long before scratchy old home recordings became the par for the course in American songwriting. The sketches and snatches of out-and-about recordings that make up The Freed Man hold a wealth of magnificent indie songwriting, and it seems incredible that in the final phases of Dinosaur Jr Barlow was reticent in offering his compositions up for the band. Songs like 'Healthy Sick' and 'Bolder' show the makings of the great songwriter Barlow was to become, and Gaffney's contributions are every bit as good: 'Julienne' in particular is an astounding piece of bedroom recording, comprising guitar, voice and some unexpected bell chimes - it's one of the least lo-fi songs here in fact, although the recording remains uncompromisingly intimate. The material ranges from this order of intimate sincerity to the downright comical: check out the drum machine buffoonery of 'Lou's Rap' for some of Barlow's knowingly dreadful flows. The earliest document here is Barlow's 'Punch In The Nose', which dates back to 1981 and features a chipper brass motif alongside a very different-sounding voice to the rich, warm tones we've become accustomed to over the years. It's the inclusion of such raw, uncensored glimpses into Sebadoh's genesis that confirms this reissue's status as an indispensable item, for fans of the band and interested newcomers alike. Excellent.